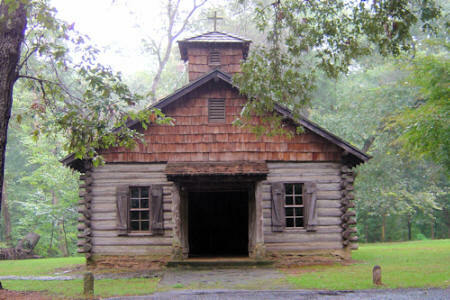 We spent a couple of days at the Tejas Mission State Park and enjoyed the piney woods of East Texas. The park was built in 1934 by Co. 888 of Civilian Conservation Corps (CCC) as a commemorative representation of Mission San Francisco de los Tejas, the first Spanish mission in the province of Texas, which was established in 1690. Also in the park is the restored Rice Family Log Home, built in 1828 and restored in 1974. The home, which Joseph Redmund Rice, Sr. constructed between 1828 and 1838, is one of the oldest structures in the area. The home served as a stopover for immigrants, adventurers, and local residents traveling the Old San Antonio Road (El Camino Real )across pioneer Texas. The park a lot of hiking trails and an active calendar of events. The weekend we were there a group of Dutch Oven cookers were there. They told me that Dutch Ovens were "the Official Cookware of Texas." 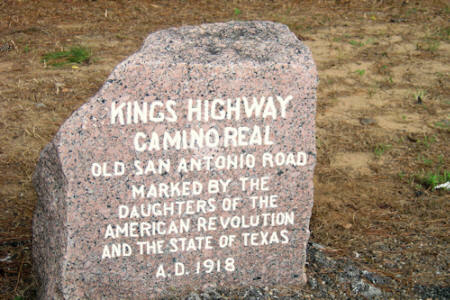 All along State Highway 21 you will find granite markers marking it as the "Kings Highway". These were placed in 1917 by the Daughters of the American Revolution and the state of Texas. Weches, Texas is at the entrance of the park. There is really not anything at Weches except a few houses a few churches, and a volunteer fire department. Alto, Texas is about 12 miles north on Highway 21. It has a good restaurant, a fair size grocery store and a great High School Football team. (1A State Champions 2006). Gate is not locked at night. 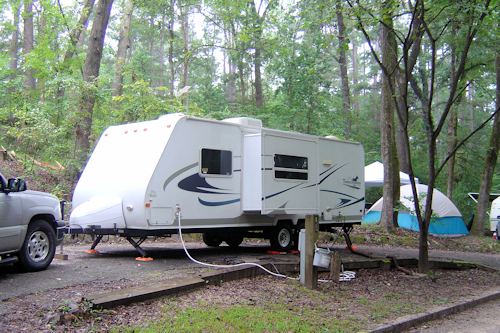 This is a small park with not very many camp sites. Even on Labor Day weekend it was not completely full. But even if it was full it would not be crowded.